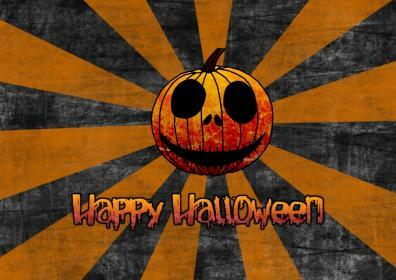 Wishing everyone a very Happy & Safe Halloween! HAPPY FACES FOR BRAND NEW SPACES!! I have sold a property at 7712 132 AVE in EDMONTON. CHARMING 1,069 s.f. 4 level split in the quiet community of Delwood. GORGEOUS front exterior with a beautiful low maintenance, South facing front yard. Main floor of home is warm & inviting with lots of windows & natural light. Living room & dining room on main level. Eat-in kitchen with ample cabinet space. Spacious Master Bedroom on the top level with 2 double closets. 4 additional bedrooms throughout, and 2 3-piece bathrooms, make this the perfect home for the growing family. Fully finished family room in the basement adds even more space for living & recreation. Double-detached garage at the back of the house with additional parking. LARGE, PRIVATE backyard, perfect for fun & games! Warm & inviting with plenty of space, this lovely 4 level split truly is the perfect family home! I have listed a new property at 29 1237 CARTER CREST RD in EDMONTON. Finally a Fabulous 2 story townhome with a 2 car garage in Prestigious Carter Crest Community! This 3 bedroom 2 1/2 bathroom open concept home makes a great home for the busy professional or the family oriented discerning buyer. Freedom Ridge Condo's offers a private driveway & cul-de-sac location while offering the convenient access to shopping, schools, and the Whitemud Freeway for all your commuting needs. This home offers nearly 1,500 sq.ft. of living space & includes hardwood, a cozy gas fireplace, a formal dining room, an eat in kitchen, & a great sized master bedroom with en-suite bath & walk-in closet. The convenience of top floor laundry was also part of this newer design & the completely fenced backyard includes a private 10x10 deck with a Gas connection for all your BBQ creations. This well managed condo boasts new cedar shingles & natural building curb appeal & the spacious layout will surely inspire some wonderful family gatherings or even quiet nights at home with loved ones.